It’s no secret that your Nonprofit wants to succeed. It also should be no surprise that your employees want to succeed! Of course, there’s often a strong, positive relationship between the two—when employees succeed, so do the Nonprofit’s they serve. A key question, then, becomes: How can organizations most effectively find, train, motivate and encourage employees’ success? Marketing your Nonprofit in today’s difficult labor situation. What should we have in place to be attractive? Where are Nonprofit finding employees? What are the three most important steps of an effective hiring process? This presentation will also help prepare people within your organization who may want to move into a HR role. The presentation is highly interactive (includes table exercises) and gives participants the opportunity to collaborate with other organizations. 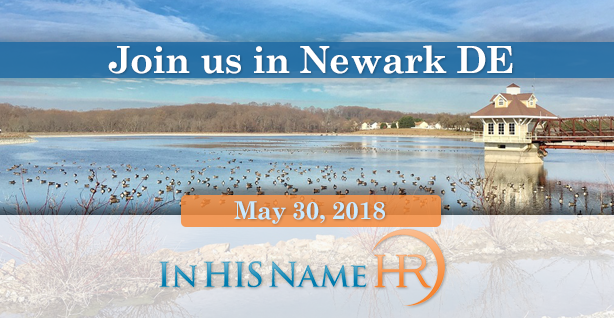 Mark A. Griffin is the founder and chief consultant of In HIS Name HR LLC, a human resources outsourcing and career coaching firm created to help organizations pilot the complex issues of managing HR. As a human resources professional with 20-plus years of experience in both public (Quaker Oats Company, Kodak Inc., Merck Inc.) and private companies (Woolrich, Conestoga Wood Specialties, Valco Companies Inc.), Mark is passionate about building high-performance workplaces by utilizing best practices while leading organizations with strong values. Mark and his wife Gail have two adult children, and attends LCBC Church. Mark has coached leaders on “Business as Mission” as far away as Eastern Europe, India, Haiti, Honduras, Nicaragua and the Dominican Republic. Speaker, accomplished HR consultant, and the author of How to Build “Kingdom-Minded” Organizations and College to Career: The Student Guide to Career and Life Navigation, Mark A. Griffin encourages leaders to build values-led organizations during these increasingly complex times.